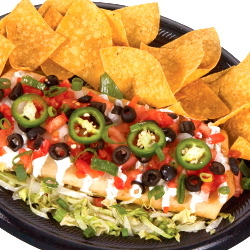 Tijuana Flats is an "anything goes" taco and burrito restaurant with locations in multiple states. Founded in 1995 by University of Central Florida graduate Brian Wheeler, Tijuana Flats is now one of the most popular taco places in Orlando — "Something might offend you, but it won't be the food." Whether you love chips and queso or hot sauce that burns your insides, Tijuana has something for you. 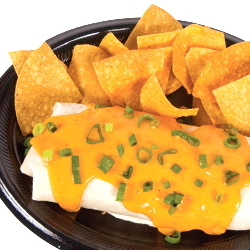 Entrees includes big burritos, chimichangas, quesadillas, enchiladas, tacos (including fish! 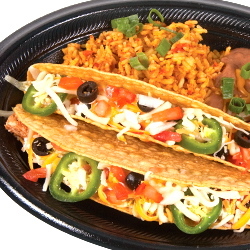 ), norrito bowls, salads, nachos and tostadas. There are also specials and a children's Little Lizards menu. Satisfy your sweet tooth with a churro or cookie dough flautas. Complete your meal with a Coke product or cold cerveza, as Tijuana Flats serves beer and wine. Appreciate the eclectic art decorating the interior dining room or enjoy your meal at one of the outdoor tables. In addition to gaining notoriety for it's hot sauces, Tijuana Flats is famous for its Taco Tuesday, when you get two tacos, chips and a soda for $4.99. The downtown location also hosts plenty of events and fundraisers. Orders can be called in or placed online if you're in a hurry. 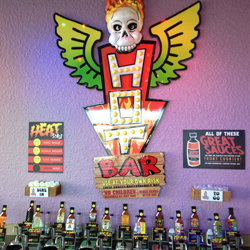 You can also buy one of the restaurant's famous hot sauces, gift cards or merchandise — online or at the downtown location. Addicted to hot sauce? You can even buy in bulk. Downtown has street parking, as well as garages, most of which take cash and credit cards. Tijuana Flats — South Downtown is located at the intersection of Orange Avenue and Southgate Commerce Boulevard.